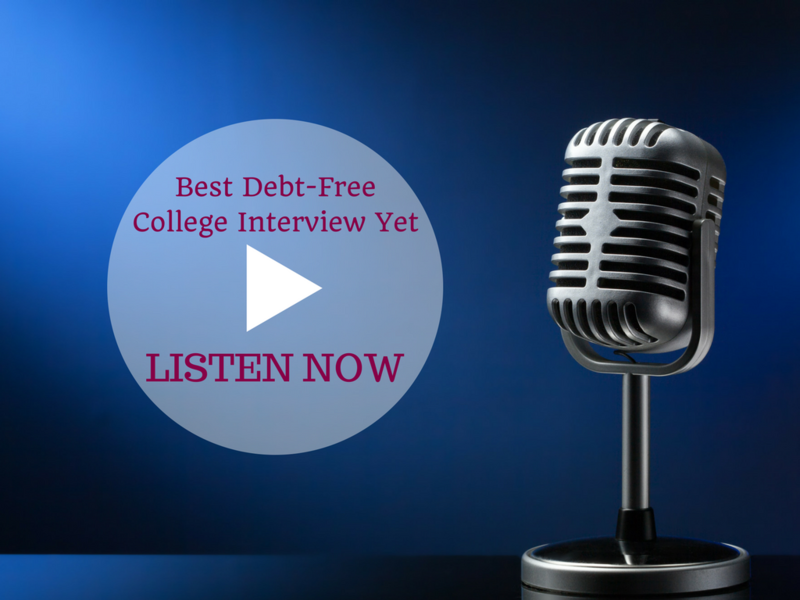 To listen to my best debt-free college interview yet, click here. Listen while you’re driving or getting ready in the morning, and you just might change the life of a student you love. In March of 2018 I was interviewed by Andy Earle, a Loyola Marymount University researcher who focuses on parent-teen communication and teen thriving and flourishing. I’ve been interviewed many times since my book LAUNCH came out in 2017, but this interview is by far the best. It’s the best produced, the most in-depth, the most inspiring, and the most informative. You’ll feel a growing sense of hope for the teens and 20somethings you love. 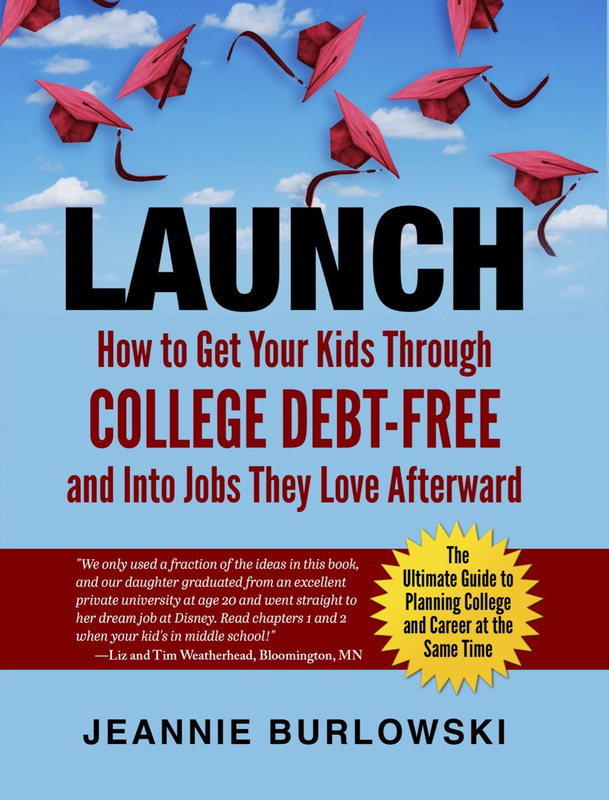 I love what Andy Earle says about the debt-free college strategies I provide in LAUNCH. Listen to the entire interview by clicking here. If you’ve found valuable help here today, please help me by tweeting this out to the people who follow you. You’d love to get your #teens through #college #debtfree, but they aren’t getting #scholarships, and you’ve got zero in college #savings. Find practical help and hope here, in researcher Andy Earle’s interview with author @JBurlowski. Are you parenting a teen or 20something who’s struggling? If you are, be sure to look at the article I wrote on launch anxiety. Pay special attention to the section where I strongly suggest that all teens take career assessments as early as 10th grade. Because getting an exciting sense of possible career goal early on heads off launch anxiety. Plus—it saves parents thousands and thousands of dollars on college costs, because teens who’ve completed quality career assessment don’t waste time in ill-fitting college classes or majors that aren’t going to lead anywhere. Do you have friends who are parenting kids ages 12–26? SHARE this post on Facebook, Twitter, and LinkedIn right now. What did you find most helpful in the interview? What other questions do you wish the interviewer had asked me? Comment below or LIKE Jeannie Burlowski Author on Facebook, find this post on that page, and let’s talk about it there. Jeannie is a full-time author, academic strategist, and speaker. Her writing and speaking help parents set their kids up to graduate college debt-free and move directly into careers they excel at and love. Her work has been featured in publications such as The Huffington Post, USA Today, NerdWallet, and US News and World Report. Jeannie also helps students apply to law, medical, business, and grad school at her website GetIntoMedSchool.com. You can follow her on Twitter @JBurlowski.